The New York City Football Podcast is back, this time with returning guest, the legendary New York Soccer reporter Dave Martinez. 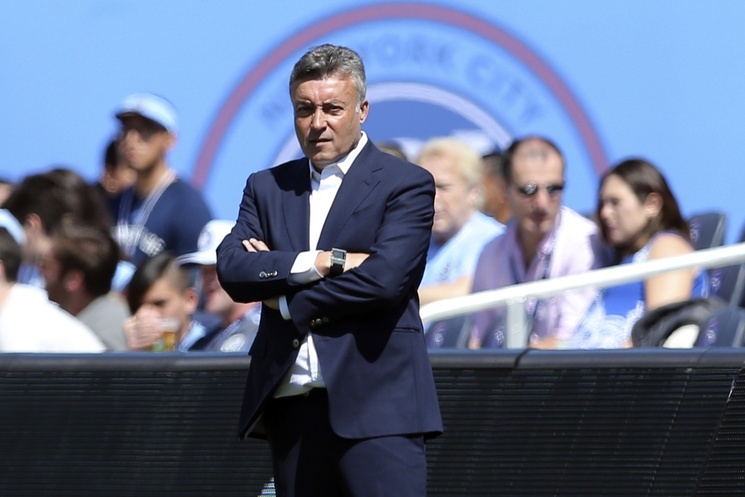 The boys talk very frankly about the issues surrounding NYCFC both on and off the field, whether Dome should be fired, who might replace him, if it’s time to hit the panic button, issues with CFG and so much more. They also discuss a possible penalty for whoever loses Nick and Jordan’s bet, and chat a little Wrestlemania 35 at the end of this episode of the NYCFP on the NYCFC Nation Podcast on all major platforms, including Spotify, iTunes, Stitcher and iHeart Radio.